JOHANNESBURG, South Africa – Fifteen young African entrepreneurs have emerged as finalists from a field of more than 800 applicants for the seventh annual Anzisha Prize, Africa’s premier award for her youngest entrepreneurs. Supported by African Leadership Academy (ALA) in partnership with the Mastercard Foundation, the Anzisha Prize celebrates and cultivates the next generation of young African entrepreneurial leaders who are creating job opportunities, solving local development problems and driving economies. Selected from 14 countries, nearly half of all candidates are young women representing sectors as diverse as clean energy, agriculture, waste recycling and youth empowerment. For the first time, candidates from Angola, Liberia, Mauritius, and Sudan entered the competition. Among these young innovators is Liberian Satta Wahab, founder of Naz Naturals, a cosmetics company that creates organic hair care products that empower young girls and women to feel beautiful and confident with their natural hair. The pool of finalists also includes 21-year-old South African Maemu Lambani, the young owner of a digital marketing agency; and Thowiba Alhaj, the founder of Work Jump-Up Sudan, an organisation empowering university students by linking them to job opportunities. Finalists will fly to Johannesburg to attend a 10-day entrepreneurial leadership boot camp where they will be coached on how to pitch their business to a panel of judges for a share of US$100,000 worth of prizes and support. The grand prize winner will receive US$25,000, while the runners-up and third place winners will receive US$15,000 and US$12,500, respectively. The remainder of the prize will be divided among outstanding finalists, including a $10,000 agricultural prize funded by Louis Dreyfus Foundation, as well as four $5,000 challenge prizes to bolster initiatives led by past Anzisha Prize finalists. All other finalists will each receive $2,500 prizes. Finalists will also benefit from ALA’s Youth Entrepreneur Support Unit (YES-U), which provides consulting and training support to Anzisha finalists. This includes the Anzisha Accelerator boot camp, mentorship and consulting services, travel opportunities to network, and business equipment, valued at US$7,500. Finalists will be evaluated by a panel of five experienced judges who have contributed to building youth entrepreneurship in Africa, such as Wendy Luhabe, a pioneering social entrepreneur and economic activist. Laureates will be announced during an inspiring gala evening on October 24, which will include a keynote address from serial entrepreneur Fred Swaniker, founder of both the African Leadership Academy and African Leadership University. 1.Ajiroghene Omanudhowo, 22, Nigeria: Ajiroghene is the founder of three businesses operating under the parent company 360 Needs. ASAFOOD delivers food to universities, ASADROP is a logistics company specializing in parcel delivery and Beta Grades helps students prepare for their exams by providing computer training. 2.Victoria Olimatunde, 15, Nigeria: Victoria is the founder of Bizkids which teaches high school students about financial literacy, savings, money management, and small-scale business management. Bizkids encourages young people to create jobs as entrepreneurs, not just seek jobs as employees. 3. Dina Mohamed Ibrahim, 22, Egypt: Dina is one of the founders of Metro Co-Working Space, which rents work spaces to entrepreneurs and provides workshops and resources from them to thrive. 4. 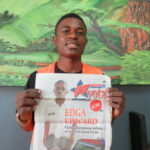 Edgar Edmund, 17, Tanzania: Edgar is the founder of GreenVenture Tanzaniawhich recycles plastic waste into cheap and affordable building products like paving blocks. GreenVenture helps people build houses while promoting environmental sustainability. 5. Moonga Chowe, 22, Zambia: Moonga is the founder of Chilimba, a mobile platform that works on any mobile phone and allows savings groups to manage their contributions in an efficient and transparent manner, enabling them to migrate to safer digital money. 6. Rebecca Andrianarisandy, 20, Madagascar: Rebecca is the founder of GasGasy which supplies affordable, environmentally-friendly and sustainable bio-fertiliser made in Madagascar for Malagasy people. It is easier to spray on crops because it is liquid fertilizer. GasGasy acts as an insecticide and is gentle on the soil. 7. Satta Wahab, 21, Liberia: Satta is founder of Naz Naturals, a Liberian cosmetics company that creates organic hair care products from unrefined shea butter and empowers young girls and women to feel beautiful and confident with their natural hair. 8. Thowiba Alhaj, 20, Sudan: Thowiba is one of the founders of Work Jump-Up Sudan, an organisation that intends to empower university students by linking them with job opportunities. Their primary activity is to search for potential employers and encourage them to offer students part-time jobs. 9.Vicente Zau, 19, Angola: Vicente is the founder of Vicente News Company, an online platform that aims to promote African music, mainly Angolan music, across the continent to encourage the growth and development of African music in foreign countries. 10. Fadwa Moussaif,22, Morocco: Fadwa is the founder of Boucharouette Eco Creation (B.E.C.) which empowers local women to become independent by using quality fabrics to revive the art of Boucharouette rug-making. 11. 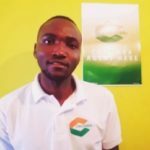 Gerald Matolo,20, Kenya: Gerald the founder of Angaza Africa Technologies, which makes briquette-machines, solid waste carbonization kilns, and processes biomass briquettes. 12. 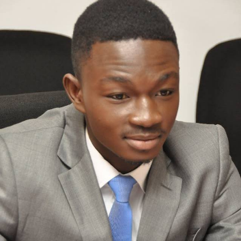 Ibrahima Ben Aziz Konate,22, Cote D’Ivoire: Ibrahima is the founder of Poultry d’Or which is a company that produces and distributes fresh poultry products and agro-foods. Their products are slaughtered, cleaned, packaged and delivered all in one day. 13. 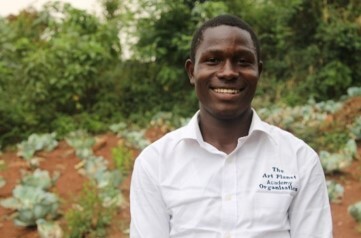 Ignatius Ahumuza, 21, Uganda: Ignatius is one of the founders of Art PlanetAcademy, which provides practical agriculture training in schools. Art Planet creates and innovates climate-smart farming technologies, tests them at demonstration farms and incorporates them into a practical agriculture training curriculum. 14. Jessan Kumar Persand, 22, Mauritius: Jessan is the founder of Crab Aquaculture Project (Jessan Seafood), a business that breeds and raises crabs. Jessan produces about 2,000 crabs per month which are sold to hotels and restaurants. 15. Maemu Lambani, 21, South Africa: Maemu is the founder of Fearless Trendz, a digital marketing agency whose aim is to transform growing and local businesses into global brands by using social media. Keep up with the latest news, meet the finalists, hear more about their ventures, and watch the awards gala live on YouTube.